YoungstaCPT and his team are in the basement parking lot of a Joburg radio station. Teargas’ breakout hit, Chance, is not a song that would typically be played by this station but it is blaring through YoungstaCPT’s car’s speakers. I’m surprised to hear the rapper blaze this throwback tune but he insists he loves it. As we walk inside the station, I joke that he’s listening to older jams when he should be dropping new ones himself and he grins. Then he says: “I’m done with my album as I speak to you right now!” An even bigger grin. Then he jumps, as if doing a lay-up, and smiles so wide that his eyes seem closed. During his radio interview, he touches on the new music and it’s then that I realise that the young man who was born Riyadh Roberts is on the cusp of achieving a similar breakthrough to that of Teargas. Sure, he had to put out 30 mixtapes in his 26 years on this earth to do it but his debut album, 3T (which is illustrated to resemble the Buddhist symbol for love), may just be body of work that catapults the Capetonian with a niche overseas following to national stardom. 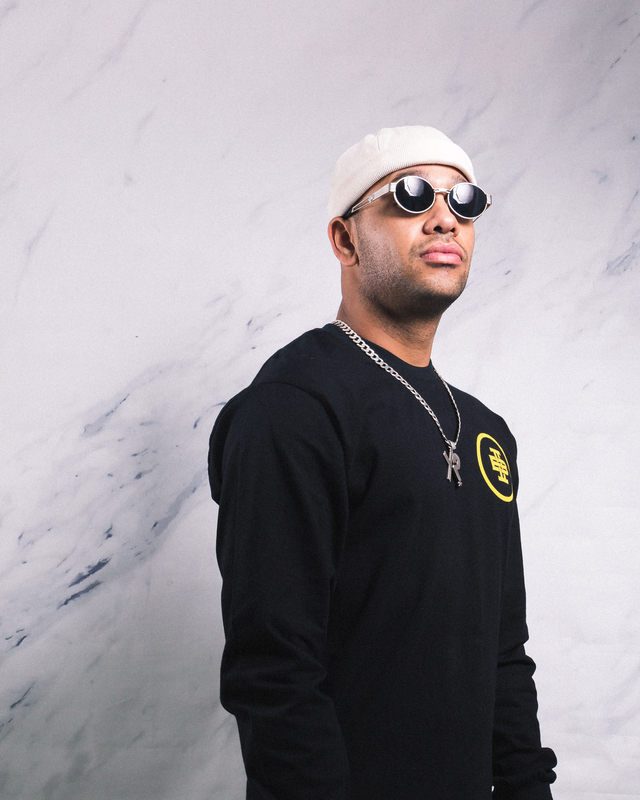 Like Teargas’ formative years, YoungstaCPT has used his music as a megaphone that allows the voices of his hood to be heard. And like Teargas, he is poised to lead an era. Rocking a grey Ducktales cap and a t-shirt that has “Kaaptonian” embossed across his chest, the emcee who has carried Cape Town hip hop back into the mainstream more than any solo rapper in recent memory is in good spirits. Aside from the new music, it’s because he is one of the performers at the second annual Afropunk Joburg on December 30 and 31. He will share the stage with the likes of Americans; Kaytranada, Public Enemy, Flying Lotus, The Internet as well as South Africa’s own Thandiswa, Kwesta, Phuzekhemisi, FAKA, Dope St Jude and others. This year’s event is themed: The People Resist. YoungstaCPT is someone who resists. He isn’t the first person to amplify the voices of the unseen in Cape Town’s coloured communities. But he is one of a few whose resists the urge to preach and rather presents a remarkable lyrical dexterity. He also resists the music boxes but existing in both boombap and trap worlds in this era. And even those who can’t hear how he’s going against the grain can see it in music videos like SY?NZ, a cautionary tale about acting tough in certain territories and throwing out gang signs when you really aren’t about that life. YoungstaCPT shares his spotlight and motivates people by doing things like a trophy tour where he took his South African Hip Hop Award around to hoods so kids could touch the pyramid and know they could win it too and so that adults could be proud of him representing them. He also aims to motivate, albeit in a tongue-in-cheek way, through YVR – which stands for Young Van Riebeck – his first single off 3T (aka Things Take Time). The song comments on injustices (and the ripple effects thereof) caused by the likes of Jan van Riebeck but it also points to the possibility of triumph is every day circumstances, like those that face rappers.